As your car is hard at work getting you from one place to another, you may start to notice little signs of trouble. However, if you don't know that these signs indicate there is an issue under the hood, it's very likely that you'll just ignore them. Unfortunately, if your car is trying to tell you that you have an issue in your cooling system, this issue will only grow over time. To prevent this from happening, look out for these signs of trouble and get them addressed as soon as possible. 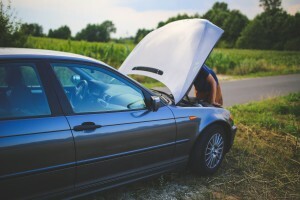 If your engine ever starts to overheat, it becomes very clear quite quickly that there is trouble under the hood. You don't have to wait until your engine has overheated and suffered damage in order to understand what the issue is. In fact, your car's temperature gauge is there for exactly that purpose. This part in your dashboard measures how hot things are under the hood. Generally, the gauge will show you that things are operating at the ideal temperature, but when there's trouble the needle in you temperature gauge will move closer to the right side. Before your car's temperature hits the danger zone, pull over and turn off your engine so that it doesn't suffer any damage. You may be running low on coolant or there may be an issue in your radiator among many other potential problems, so it's best to get your car looked at by a professional. A leak of any sort is bad, but when it comes to your coolant, a leak can lead to serious damage. Luckily, coolant leaks are quite easy to notice because this fluid tends to be bright green in color. If you notice a few drops or an entire puddle under your car, you'll need to get your cooling system checked out by a professional. Whether the leak is big or small, it will eventually lead to low coolant, which can cause bigger problems for your car. If you're planning to drive your car to your mechanic, first check on your current coolant level. If needed, top off your coolant so that you don't run out and start overheating on your way to the mechanic. A great way to ensure there is no trouble under your hood is by consistently checking on your car's fluids. If your oil looks like it's in need of a change, give your car a synthetic oil change in Minneapolis. Using an oil like AMSOIL's Signature Series 0W-40 Synthetic Motor Oil can help keep your car in better shaoe for longer. To find more products like this, contact All Service Oil at (763) 257-3130. You can also check out their online store for even more products. Not all coolants leaks are external, so you may actually have a leak even if you don't see any coolant under your car. When your car has an internal coolant leak, you will likely start to notice thick, white smoke coming out of your exhaust pipe. The reason for this is that when your coolant is leaking internally, it will start to burn in the combustion chamber, resulting in very noticeable smoke escaping your car. If you suspect you have an internal leak, check on your coolant level to see if your coolant is in fact disappearing. Checking on your coolant regularly is a great habit to develop because this will help you catch certain issues in your cooling system early on. If you notice that you're constantly running low on coolant or if your level drops more often than it used to, this is cause for concern. You may have a leak or some other type of issue which is causing your coolant to be consumed faster than it should. Whether you have a leak or another issue, this is something you should take up with your mechanic before your engine has a chance to overheat. To keep your engine working efficiently, give your car a synthetic oil change in Minneapolis. Contact the oil pros at All Service Oil at (763) 257-3130 to get product recommendations and the personalized service you need.